Events > 2019 > March > Winterbike 2019!!! 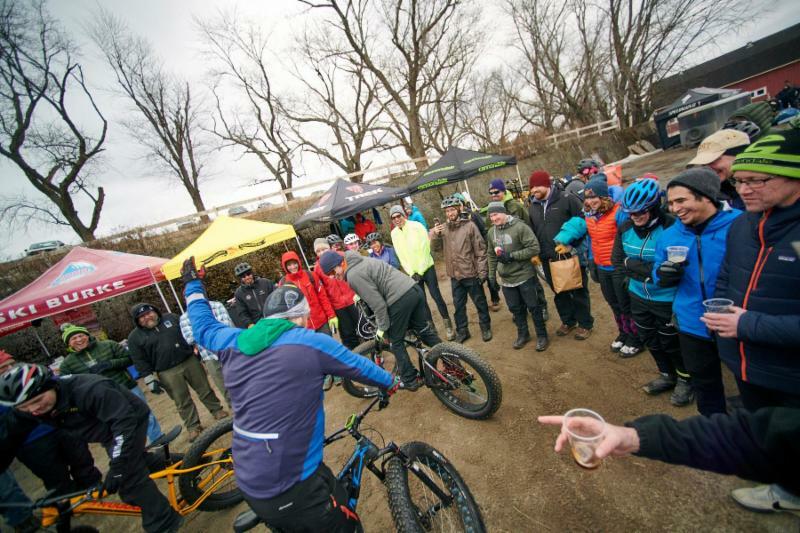 Join us for the 8th annual Winterbike Fatbike Festival! That’s right folks! 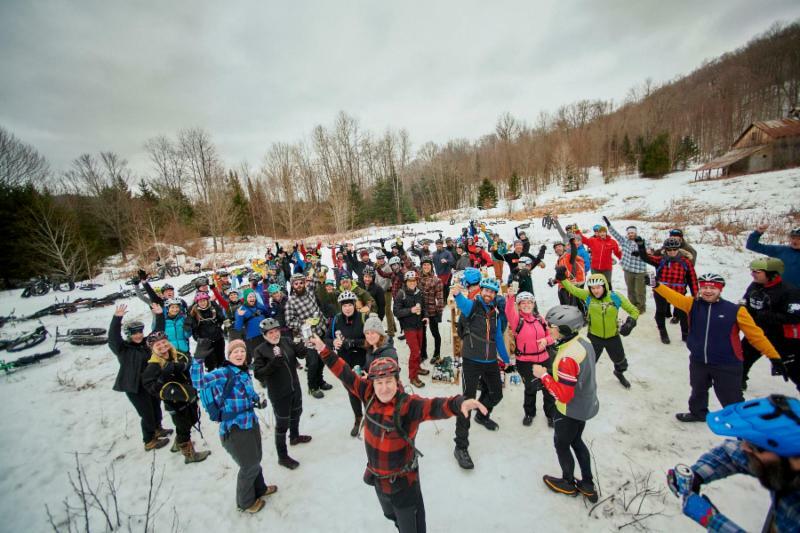 Mountain Bike Vermont and Kingdom Trails have partnered again for the WinterBike Fatbike Festival on March 2, 2019. 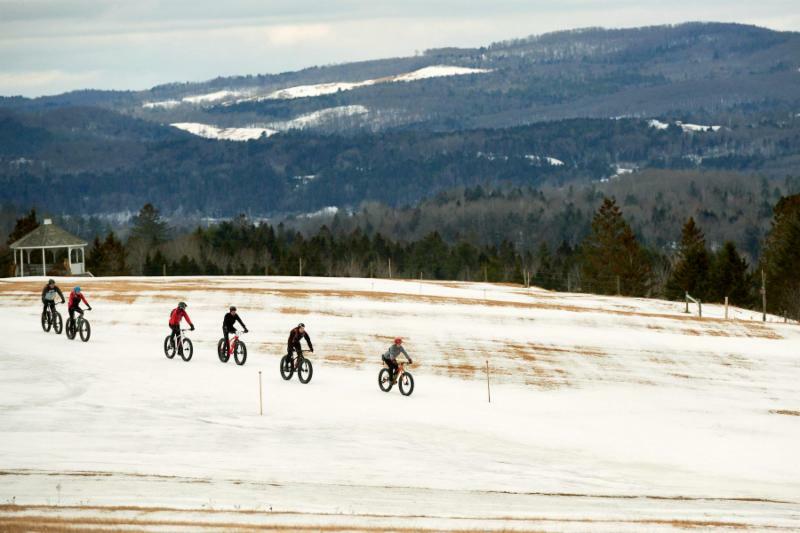 Winterbike is Vermont’s premier Fatbike Festival. Now in its 8th year, the event continues to be the largest fatbike festival in the Northeast. 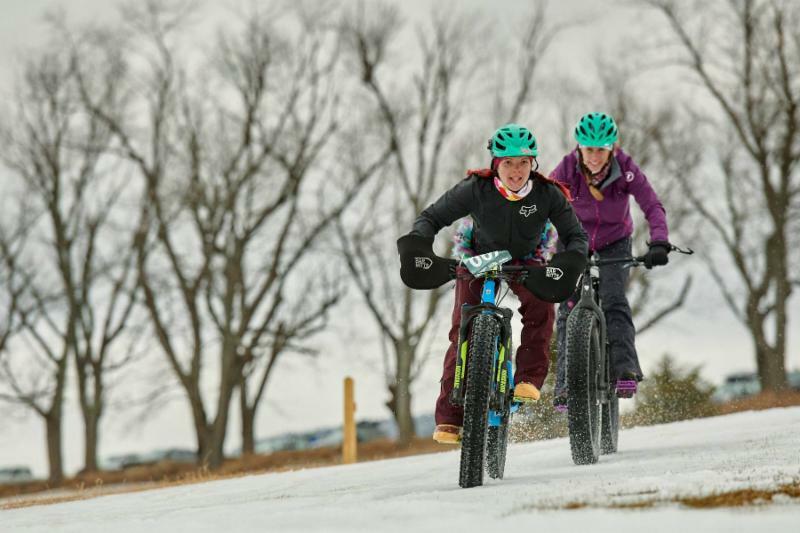 Hosted at the Kingdom Trail Nordic Adventure Center, the event is situated on Vermont’s most expansive groomed fatbike specific trail network, boasting over 26 miles of cold rolled singletrack! In keeping with tradition, Winterbike will include the usual crowd pleasing ingredients including a Friday pre-registration Social hosted this year by the Borderlands Trail Partners. While Saturday will see a vendor garden, demo fleets, group rides for all ages and abilities, stocked remote aid station, 6X fatbike race. The infamous Rasputitsa Gravel Road Race organizers Heidi and Anthony will keep the party rocking with tunes and a fur laden lounge in the expo. New in 2019, we’re pleased to announce support from our friends at Lawson’s Finest Liquids, brewers of some of Vermont’s favorite beers! IPA? Yes please! Lawsons will be on site at the vendor garden, spreading liquidy love all afternoon. The Remote Aid Station returns in all its glory… and then some. In an effort to evolve the Station, we welcome its new hosts Untapped, makers of all natural athletic fuel aka MAPLE SYRUP based energy! How about a steaming cup of hot cider with maple and ginger. Hot toddies just reached another level: healthy! Adding to the healthy and delicious theme this year, lunch will be served on site by the Craftsbury General Store with the option of dining next door at Juniper’s Restaurant as well. With the heightened focus on family, this year’s event will include kids a specific ride. Additional kids entertainment will be found in a kid’s ride and family friendly games in the vendor area. 24″ wheel kid’s specific fatbikes are also expected among the fleets of demos available. This years 6X Fatbike Race is brought to you by our friends at Garneau, who has generously supplied apparel kits for top male and female finishers. We’ve also changed the script and made the 6X race free to enter! That’s right. Heats are split between men and women with six racers competing at a time. The fastest three in each round move on the the finals until a men’s and woman’s class champ is victorious! Or just spectate with a cold Lawson’s in your hand. And as always, Winterbike games will be happening late afternoon Saturday with prizes provided by Marzocchi, Kingdom Trails, MTBVT, and more! 6:00-8:00 Winterbike Pre Reg and On site Reg. in Room 13 at the Burke Mountain Hotel & Conference Center. Follow the signs to find Room 13. Show your wristband at the Foggy Goggle Osteria on Saturday night for 10% off! *** Make reservations at the restaurant of your choice each night, otherwise it will be tough to get in! We look forward to hosting you all at Winterbike 2019. See you on the trails! To Register and get more info click on through right here!